Only One Day Left in CBLDF’s Spirit of Giving Art Auction! Imagine giving your favorite comic fan original artwork by Walter Simonson, Tim Sale, Amanda Conner, Ben Templesmith, Matt Wagner, or Jill Thompson. 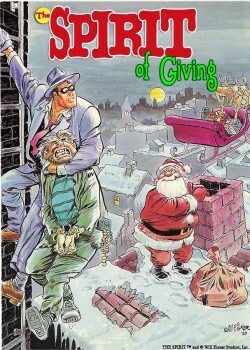 It can happen if you act fast to bid in CBLDF’s The Spirit of Giving: CBLDF Holiday Art Auction! Items range from small sketches to finished pieces, but you better get on it — the auctions end tomorrow! To take a look at some of the gorgeous art up for grabs, visit CBLDF’s eBay page here.